Riverbend has a reputation of creating beautiful, traditional design concepts has spurred the creation of countless clients’ dream homes. The Melody Lane is a concept that has inspired many variations, each fitting different project locations and goals while still retaining elements of the original design. The Melody Lane is a classic timber concept that features spacious living spaces for gathering, as well as plenty of covered, enclosed, and open outdoor areas for interaction with the surrounding land. Its flowing layout and attention to timber detailing are features that many people find appealing. Here are a few projects based on the Melody Lane we’ve worked lately. 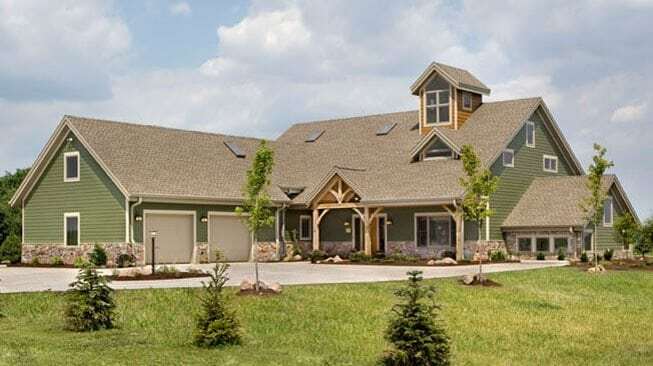 Located near the borders of Michigan and Indiana, this Ohio home’s floor plans stay fairly consistent with the original Melody Lane concept. In contrast, its exterior is distinctively altered to showcase the homeowner’s personal style—including a cupola for a barn-style appearance. A main priority when this family began their home design was that it would be able to accommodate multiple generations under one roof. To remedy that, their Riverbend designers included a sound-proof wing on the main level for their parents and a second master suite for the homeowners above. Built in the heart of Alberta, this version of the Melody Lane features an exterior look that closely resembles that of the original concept, while the major layout changes within are the placement of the master suite in the loft area and the inclusion of a basement. Like many Canadian clients, the couple found that Riverbend’s energy efficient building system worked well with the area’s colder weather. Their designers included ICFs in the basement design to go along with the SIPs in the walls and roof so that their home was completely insulated from footing to rafters. Another product alteration was spurred by the couple’s love for traditional timber framing, which prompted them to expand their internal timber frame skeleton. 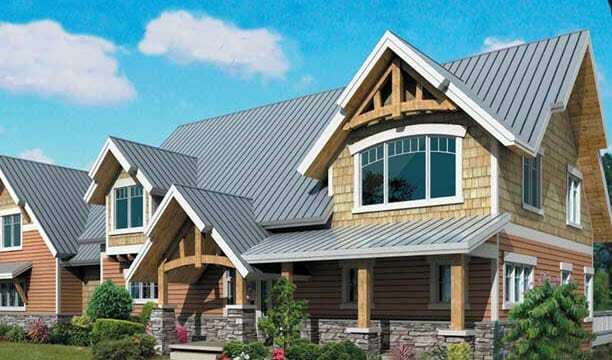 The latest couple to express interest in the Melody Lane design is working with Riverbend’s in-house design firm, M.T.N Design, to build a second home off of Banks Lake in Washington. Having purchased a sloped lot, the Washington couple’s designer will look into including a walkout basement that will work with the land. The couple’s desire for outdoor living spaces and the high precipitation that is typical of the state will also affect the way the M.T.N designer determines the use of elements like covered, all-weather outdoor areas and eave depth.